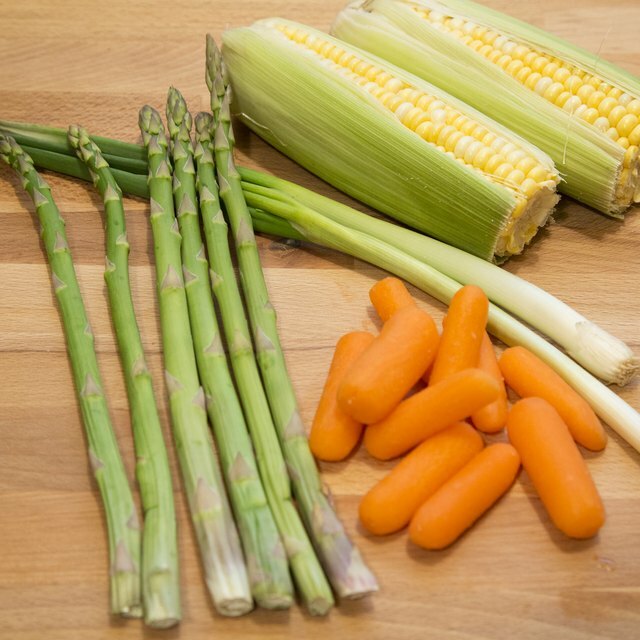 What Is the Purpose of Blanching Before Freezing? Vegetables: delicious fresh, but bad when frozen, if you don't blanch them first. If you don't want tasteless, tough or mushy frozen vegetables, you'll need to blanch them before freezing. Blanching involves dunking the fresh vegetables in boiling water. It stops natural enzymes acting on the vegetables. If you leave them unblanched, the enzymes continue to affect the produce, even in the freezer. Also, blanching helps clean the vegetables and improve their appearance for later cooking. Enzymes help vegetables grow and ripen. Once a vegetable is picked, the enzymes still have an effect. This is partly why vegetables -- from carrots to cauliflower -- become soft and rot over time. However, scalding steam or boiling water stops the enzymes from acting on the vegetables. As the National Center for Home Food Preservation points out, blanching also makes vegetables softer and easier to store in the freezer. Blanching is suitable for most vegetables, except for garden herbs and bell peppers. Boiling or steaming are the two most common ways to blanch vegetables. The vegetables should be scrubbed and trimmed before blanching. One option involves bringing a pan of water to a vigorous boil, and then lowering the vegetables into the liquid in a wire basket, and then continue to the boiling point. 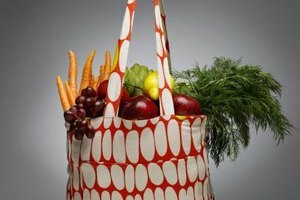 The general rule is to use a gallon of water for every pound of vegetables. Cool the vegetables immediately after blanching to prevent them from cooking, and to stop vitamins leaching into the water or leaching out through the vegetable's juices. Over- and under-blanching cause as many issues as not blanching at all. In fact, blanching at too low a temperature or for too short a time, can actually stimulate the enzymes into more activity and cause the vegetables to decay faster. Over blanching, however, can cook the vegetables and make them soft and tasteless. To avoid either issue, it's important to blanch a particular vegetable for the recommended length of time. Blanching times depend upon the size and type of vegetable -- and whether the vegetable has been cut into chunks. For example, small whole carrots take 5 minutes to blanch, while diced or sliced carrots take only 2 minutes. A whole large ear of corn needs 11 minutes of blanching, while green peas require around 90 seconds. If you're blanching vegetables at altitudes of 5,000 feet or higher, add a minute to the blanching time. Do You Cook the Veggies Before Grilling Shish Kebabs?